SEOUL -- Hyundai Motor reported its lowest quarterly profit in about five years on Wednesday, hit by heavy discounts to sell its smaller sedans that are losing ground in South Korea and the U.S. The automaker's net profit fell 39 percent to 1 trillion won ($858.07 million). Sales for the latest quarter fell 0.1 percent to 24.5 trillion won, while operating profit dropped 33 percent to 1 trillion won. Hyundai said it expected more uncertainty ahead as competition and protectionism increase. At its peak in 2011, more than one car in every 20 sold in the U.S. was a Hyundai, driven by sales of Elantra and Sonata sedans. But the South Korean firm's mainstay sedans have lost their appeal to offerings such as Honda's Civic in the U.S. and Renault's SM6 in South Korea. And the outlook for sales is now set to be further muddied by worries that U.S. President Donald Trump could impose high tariffs on vehicles shipped in to what is Hyundai's No. 2 market. Hyundai said it expects a "challenging business environment" in the U.S. this year. "We will continuously monitor the policy changes of the Trump government, and minimize its impact on our sales and profitability," Zayong Koo, Hyundai vice president in charge of investor relations, said in an earnings call on Wednesday. Hyundai Motor and its affiliate Kia Motors, together the world's fifth-largest automaker, have one of the lowest ratios of cars built in the U.S. to cars sold. Shares in the company ended down 3.1 percent after the results, their biggest daily drop since Nov. 10, 2016. "It is quite disappointing in terms of their outlook," said Kim Jin-woo, analyst at Korea Investment & Securities. "They did not say what investors wanted to hear." Hyundai has previously said that it was planning to launch new models, such as a small SUV and a redesigned Sonata, to boost revenue this year from its lucrative home market, where sales dropped 18 percent in the October-December period. In the U.S., the group, including Hyundai, Kia and parts affiliates, plans to lift investment by 50 percent to $3.1 billion over five years, amid worries about protectionism. The group, which is considering adding a U.S. factory to build SUVs and premium Genesis cars, is also looking to boost supply of Santa Fe SUVs and Tucson SUVs to the U.S. market in a bid to capitalize on rising crossover demand. 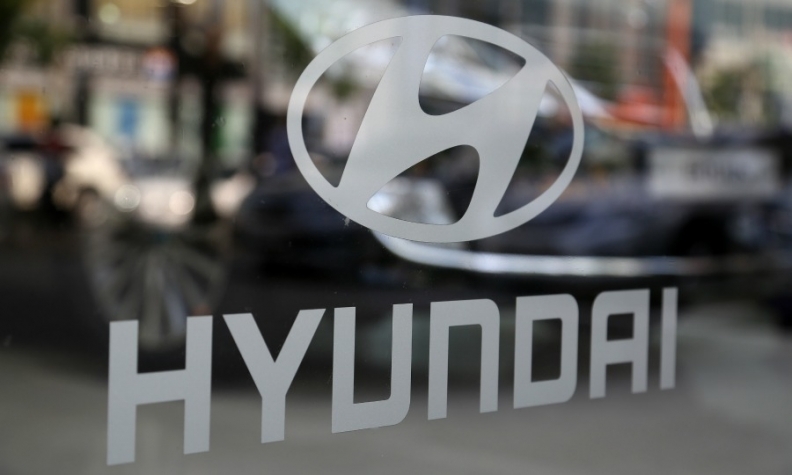 Hyundai on Wednesday said it planned to use 30-50 percent of its free cash flow for shareholder returns in the future, without giving further details. Last year, it paid more than 50 percent of its free cash flow to shareholders, a Hyundai spokesperson said. Higher U.S. incentive spending dragged on the company's results for the quarter. Autodata said incentive spending jumped 30 percent to $2,582 per vehicle in December from a year ago for Hyundai, above an average industry increase of 23 percent.